Do you spend a lot of time sitting at a computer desk? For anyone who works 40 hours or more sitting in an office chair, you already know that sitting in the wrong type of chair can take its toll on your body. The importance of a high-quality, comfortable chair that’s ergonomically sound can’t be understated. One of the best ergonomic chairs that we’ve come across is the Merax Inno Series Executive chair. What makes this chair stand out so much? Read on to find out! The Executive chair in the Merax Inno Series is ergonomically designed to be a fantastic option, no matter whether you need to sit down and get some work done or you just need a comfortable chair to take a nap in. It was first made available in June of 2017, and since then, it’s been racking up stellar reviews across the board. Merax develops all of their chairs with terrific modern designs up to precise specifications, while also using extremely high-quality materials. This chair is for anyone who values comfort and is looking for a chair that is specifically intended to provide excellent support for your lumbar spine. Merax recognizes that many, many office chairs are horribly designed when it comes to ergonomics, resulting in issues like poor posture and back pain for many people. While the chair is somewhat expensive, the price range is actually cheaper than quite a few other popular ergonomic chairs. 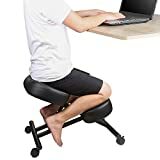 When you factor in that the vast majority of cheaper office chairs are designed poorly, resulting in the issues mentioned above, it’s clear that you’re getting a lot of bang for your buck with this Merax chair. When you purchase this chair, everything you need is included right out of the box. All of the components are in there, securely wrapped, including the attachable headrest. The chair also comes with a set of extremely detailed instructions, although they aren’t really required, as the chair assembly is rather straightforward. It only takes about 30 minutes to put the chair together. 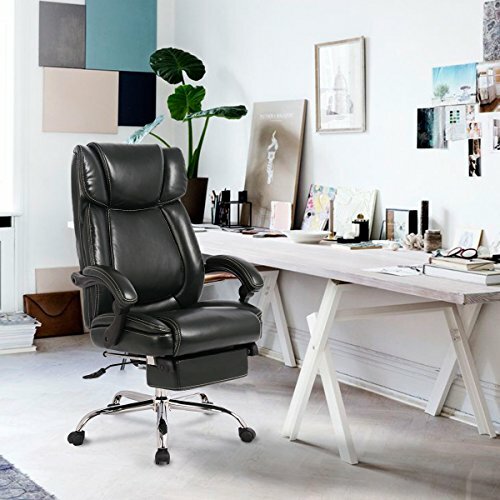 Comfortable and Sturdy Build - The chair comes equipped with a soft headrest and thick padded armrests that are sealed in a quality fade-resistant PU leather, resulting in ultimate comfort. There’s also a padded footrest included, allowing for easy R&R time after you finish your work. The chair features thick padding throughout, and has a heavy-duty chrome finished base. This is one chair that will last you quite a while! Recline Locking System - The chair has a tilting range that goes from 90 to almost 180 degrees. 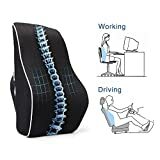 If you are someone who experiences spinal pressure from sitting down for extended periods of time, this customizable feature can provide you with an immense amount of relief. Adjustable Pivoting Lumbar - As Merax had ergonomics in mind with this chair, it’s made with an innovative build that features an adjustable lumbar cushion. 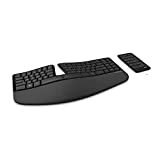 This allows you even more flexibility when it comes to getting a comfortable sitting position. Built-In Safety - The chair base is made even sturdier thanks to silent rolling wheels with large diameters and high-strength capabilities. The wheels also have a nice, smooth finish to help protect your floor. As you can see, thanks to some sound decisions when it comes to the ergonomic design of this chair, it makes for an excellent option for either the home or the office. Although the assembly of the chair is incredibly straightforward, we still strongly recommend taking a few minutes to review the included assembly instructions. They will explain all that you need to know when it comes to installing and using all of the adjustable components that are included with the chair such as the headrest, footrest, lumbar cushion and the recline locking system. While the High Back Executive Napping chair is great for anyone looking for an ergonomic chair that can be used for both work and relaxation, we also realize there’s one other major group out there who will have an interest in a high-quality ergonomic chair: gamers. Luckily, Merax also has a fantastic line-up of ergonomic gaming chairs available, and we highly recommend the Merax High Back Ergonomic Gaming Chair. 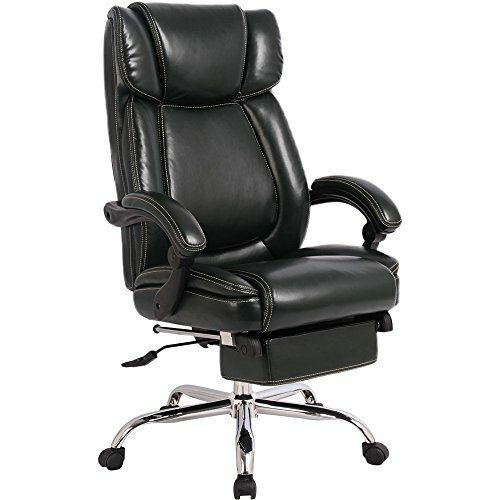 You really can’t go wrong with the Merax Inno Series, especially this Executive Napping chair. If you’ve been using an office chair that wasn’t designed with ergonomics in mind, once you make the switch, it’s honestly like night and day. The excellent design, most notably the thick padding, wide tilt tension range and adjustable lumbar cushion make this chair an easy recommendation from us.